Hutchison Flooring are specialists in the installation and restoration of hardwood flooring, and offer the complete hardwood flooring service using only skilled and experienced craftsmen. Experience passed down through two generations has helped us become one of the leaders in contract flooring, whether it is Domestic, Retail or Commercial installations and has given us a long standing reputation in the hardwood flooring industry. I provide the ultimate rug sourcing and making service! I offer the option of working from your fabrics, swatches and sizes and bring you a focussed selection to view in your room. Alternatively I will first visit your home to see for myself. You are also invited to have a guided warehouse trip in one of five large facilities across the UK before taking rugs home yourself or having me do it for you. Choose a day and time to suit you! 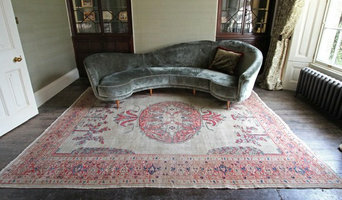 I also make bespoke rugs for customers needing something unusual or unique! Come to us for quality and experience At Sovereign Flooring, we can supply virtually any make of carpet or wooden flooring that you'd like, and we're always on hand to offer helpful advice on what will best suit your needs. We supply: Carpets Commercial flooring Curtains and blinds Dance floors Hardwood flooring Parquet flooring Resin flooring Rubber flooring Rubber matting Rugs Safety flooring Vinyl flooring Wood, timber & laminate flooring Why not call and see us today? Our knowledgeable staff will be happy to help. 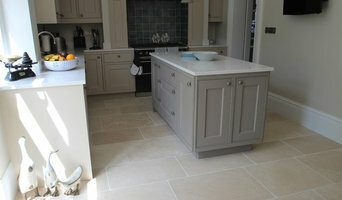 25 years experience in supplying and fitting carpets and other flooring Personal, friendly service. On All Floors also supply quality modern furniture - a one-stop room makeover shop. Where can I find the best Portsmouth, Hampshire carpet fitters? A carpet professional will often both supply and fit carpets. A full service carpet professional can offer everything from a catalogue of carpet colours and pile options to carpet accessories like underlay, gripper rods and door plates. Carpet fitters will need to measure your home and they will provide you with an estimate for materials and fitting service. Similarly, if you need someone to help with carpet repair there is a dedicated carpet professional in Portsmouth, Hampshire just a few clicks away. Check the reviews of carpet fitters in Portsmouth, Hampshire and look out for those who are members of trade organisations such as the NICF (National Institute of Carpet & Floorlayers) or the National Carpet Cleaners Association (NCCA). On Houzz you can search for flooring specialists and carpet fitters in Portsmouth, Hampshire and start to shortlist companies by adding your favourite images to an ideabook. Think about the style of flooring or design of carpet that might best suit your room and then approach the most relevant experts who can then fit your carpets, lay tiles, install hardwood floors or show you how to fit laminate flooring. Your carpeting and flooring professional might work closely with Portsmouth, Hampshire contractors, interior designers and others in the home building and home improvement industry. Here are some related professionals and vendors to complement the work of carpet & flooring: Interior Designers, Design & Build, Specialist Contractors, Main Contractors, Home Builders. What do I need to ask flooring manufacturers, installers and carpet fitters in Portsmouth, Hampshire before I hire them? How long have so been in the flooring business or working as carpet fitters in Portsmouth, Hampshire? Find carpet fitters and flooring experts on Houzz. Narrow your search in the Professionals section of the website to Portsmouth, Hampshire carpet fitter and flooring professionals. 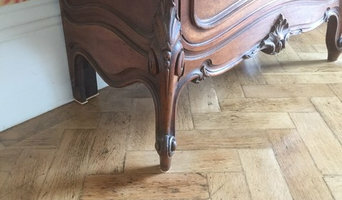 You can also look through Portsmouth, Hampshire photos by style to find a floor design you like, then contact the floor companies or carpet fitters in Portsmouth, Hampshire that worked on it.